Small Size is available in a two piece set of spoon and fork. 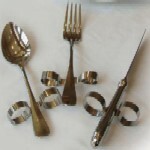 Regular Size is available in a three piece set of fork, spoon and knife. 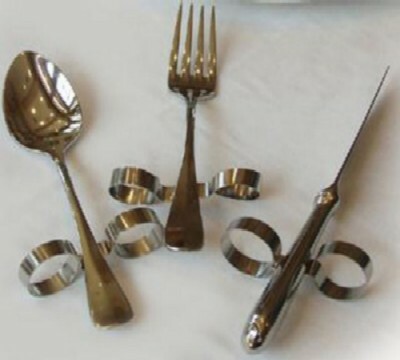 Angled built up utensils that you bend yourself to the desired angle. 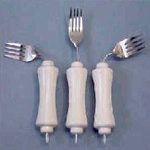 They are the perfect cutlery solution for people with upper extremity weakness or reduced range of motion.